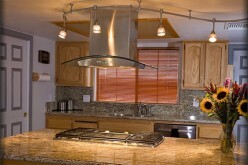 The kitchen is one of the most popular rooms homeowners choose to remodel. 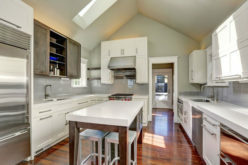 Typically, there are two main goals to focus on when planning a kitchen remodel. You want the new kitchen to function more effectively for you. 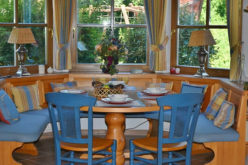 You also want to assure that the choices you make will result in a high return on your investment. The cabinets play a big role in achieving both of these goals. Because of the impact cabinets have in any kitchen update or remodeling project, you’ll want to take some time to compare prices, designs and material options. There are three basic types of cabinets to consider for your newly designed kitchen. Stock cabinets are very popular and are lower priced than the other two cabinet types. The amount of personal design input you have is somewhat limited in stock cabinets. Semi-custom cabinets allow you more personalization options than stock cabinets. Semi-custom cabinets are slightly more expensive than stock cabinets but easier on the budget than custom cabinets. Custom cabinets are your most expensive option. Typically, you’ll have to wait longer for custom design cabinets than for stock or semi-custom cabinets. If you choose custom cabinets, keep in mind how specific designs might impact the resale value of your home. Sometimes, incredibly unique design features may not appeal to potential buyers. Kitchen cabinet manufacturers offer options such as wood, laminate and stainless steel. When choosing cabinet material, cost, durability and personal preference will factor into your final decision. Wood is the most popular choice. 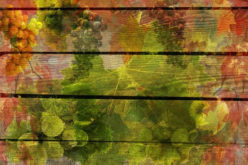 Wood is attractive, durable and versatile. 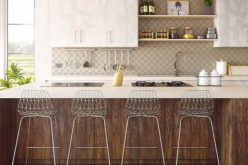 As a general rule, light-colored wood such as oak and maple can make your kitchen more visually expansive. 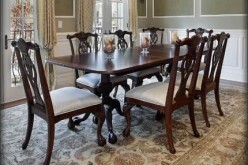 Darker wood such as cherry and mahogany add sophistication and elegance to the room. One element of the kitchen design that will greatly impact the aesthetics of your kitchen is the cabinet door style. There should be a marriage of styles between the style of cabinet door you select and the style of furniture you include in the kitchen. It should also complement additional detailing such as towel bars and decorative features on the kitchen island. Simplistic cabinet door styles are attractive, popular and may be an option that potential buyers would find more appealing. The interior space of your new kitchen cabinets and drawers is an area you can personalize to accommodate your storage needs. There are numerous drawer and cabinet organizers available that you can place in your stock cabinets to keep utensils, dishes and cookware organized. Semi-custom and custom cabinets offer more options for personalizing the interior space. Interior detailing is a budget-friendly way to make your kitchen more functional and to keep it organized and uncluttered. 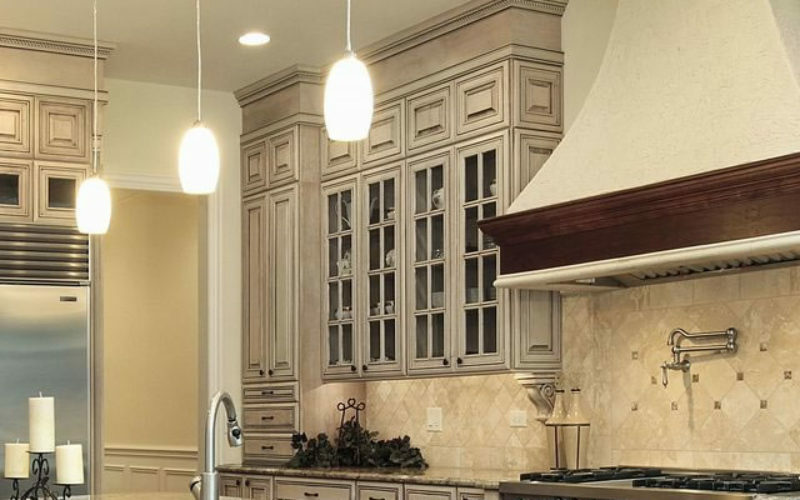 If semi-custom or custom cabinets are within your budget, you’ll have the opportunity to make some construction decisions that will make your new kitchen design more appealing to you and to potential buyers should you sell your home in the future. Sometimes, it’s the unseen details that add impressiveness to the kitchen. Soft-close doors and drawers are one such detail. Full extension drawers are a wonderful convenience. Dove-tailed drawers can enhance the aesthetics of the overall design. 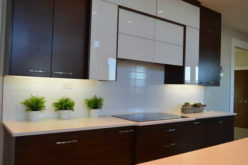 Although it seems as if there’s a lot to consider when choosing kitchen cabinets, the process is not overly complicated. One aspect flows into another making the decision process a continual flow of choices. 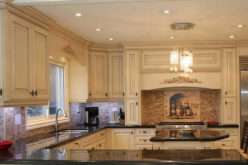 There’s lots of helpful information available to assist you in finding the perfect cabinets for your kitchen. One of the most important things to remember is that you shouldn’t go over-the-top with trendy designs. Incorporate trendy aspects with accessories or items that are less permanent than cabinets.